A Virginia Beach vacation takes some planning if you want the most perfect getaway. 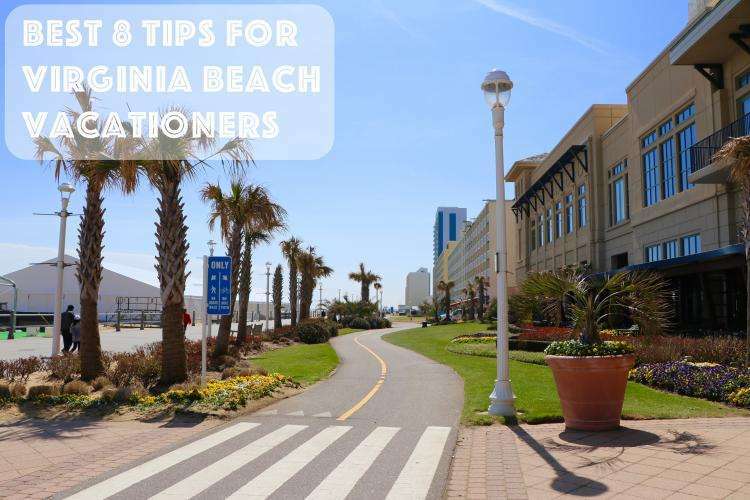 We have come up with the BEST 8 tips for Virginia Beach vacationers to make a stay happy, fun, and stress free! There’s so much fun to be had on the Virginia Beach Boardwalk ! Put a twist on your trip down the boardwalk and lace up some roller skates to zoom by all the walkers! This is a fun break from walking. Another fun thing to do is rent a bike and pedal on the boardwalk’s bike path. This is great for a hot day when you want to get to a destination quickly. When renting a bike, make sure to lock it! You don’t want any unfortunate mishaps while you’re trying to have a good time at the beach. Renting a bike could not be any easier at the VA Beach boardwalk! There are tons of bike rental stands, and they usually have so many bikes available. Bike rental stands rarely run out of bikes, so no worries there! Atlantic Avenue is only one street over from the oceanfront. This bustling strip of street has so much to see. There is casual shopping and delicious restaurants to enjoy on Atlantic Avenue. It is also super convenient if you need something to make your beach day more comfortable. Need hats, sunscreen, ice, sunglasses, towels, or aloe vera? You will find anything and everything steps away from the beach on Atlantic Avenue. An ocean view room can be expensive, we all know. But, if you know you are coming to Virginia Beach months and months ahead of time, take advantage of it! The earlier you book a stay, the more cost-effective it is. You can find an ocean view room for a cheap price if you book early. This is so very worth it. The sights of waves breaking on the shore each morning when waking up will make you so happy that you planned ahead! You'll want to check out our list of Virginia Beach hotels. Click to see their rates right from our hotel page. Anyone who has been to the Virginia Beach oceanfront has seen Catch 31. This restaurant has a tropical feel with decorated palms and cozy firepits. Grabbing a bite to eat or a drink to sip at the outdoor dining area is a must-do while on a VA Beach vacation! 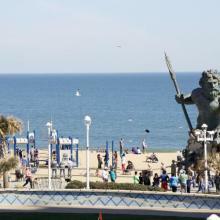 When sitting outside, you will see the beach, the King Neptune statue, and usually some type of live musical performance. Sometimes the VA Beach oceanfront can get a bit crowded. 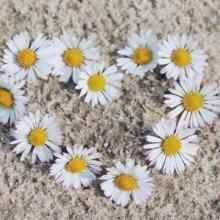 Some people may want a more romantic beach experience. There is a way to get a peaceful beach trip in Virginia Beach! Sandbridge is the best way to go to a quiet beach stay. It is a beautiful attraction, and has somehow gone under the radar with Virginia Beach tourists. 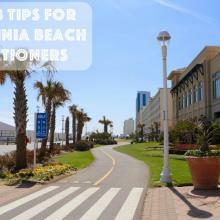 It is best to keep in mind WHEN you are going to vacation in Virginia Beach. If you are coming here and wanting a low key vacation, it’s best to choose a week when there are no festivals taking place. If you do want to come during a busy festival filled time, do your research! 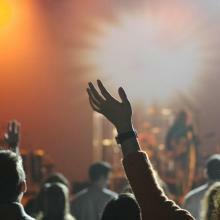 Check our Events Calendar to find out what events you would like to attend! In Virginia Beach, you don't have to be a beach lover! Vacationers have so many options for relaxation while in VA Beach. If you're more of a pool kinda person, you're in luck... You can get the best of both worlds if you are at an oceanfront hotel with a pool. You can have the views of the beach, but be swimming in a pool! We know it's all about personal preference, and VA Beach can provide what is best for you! There are many military attractions in and around the city of Virginia Beach. Fort Story is a place that many people like to visit. Also, the Cape Henry Lighthouse is a very large attraction that draws in so many people. People who want great views of the Chesapeake Bay and people who love history love to come to the Cape Henry Lighthouse. In order to get to both Fort Story and Cape Henry Lighthouse require you to come on base. Getting onto a military base requires a car search and proper ID. Being prepared for searches and knowing that it can take some time helps plan the day! Planning a vacation in VB is so easy when you check out Virginia Beach events and other news! Have questions about your stay? 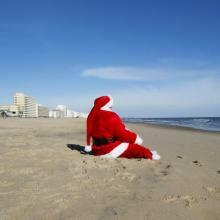 E-mail us at Sales@virginiabeach.com!